Bacchus et Neptune demonstrates Jean-Paul Riopelle’s facility with the palette knife, a tool that allows for a quick application of paint and, according to Riopelle, a more direct expression of the artist’s inner thoughts and emotions. The Montreal native was, by the 1950s, one of Canada’s most internationally-known artists. During his travels to France, the United States and Brazil from 1946 to 1955, he met and befriended key figures of 20th-century European and American culture, including Surrealist leader André Breton, absurdist playwright Samuel Beckett, sculptor Giacomo Giacometti and painters Franz Kline and Jackson Pollock. When he won second prize representing Canada at the Venice Biennale in 1962, Riopelle helped assert Canada’s place within the international art scene—and Quebec as a site of cultural production that had the capacity to lead, not follow, developments in abstract art. Riopelle made his first foray into abstraction in 1942, under the instruction of Paul-Émile Borduas at Montreal’s École du meuble. Whereas Riopelle’s first influence had been Québécois painter Ozias Leduc, much respected in his home province for his religious paintings, Borduas helped Riopelle take a decisive stance against this traditional style of painting and the Quebec establishment that had fostered it. 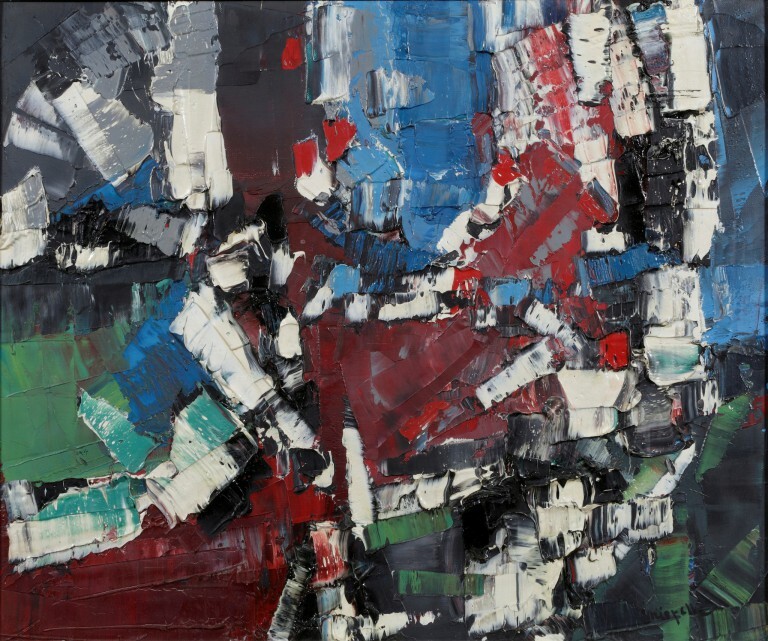 Exhibiting with Borduas and several other students, Riopelle became known as one of Les Automatistes, a group of like-minded artists whose paintings vaunted the power of gesture in art and attempted to communicate emotions and experiences directly from the subconscious. In 1948, Riopelle would sign and design the cover for a manifesto primarily penned by Borduas called Refus Global, a revolutionary and incendiary text that became a rallying cry for social freedom and new forms of cultural expression in Quebec.